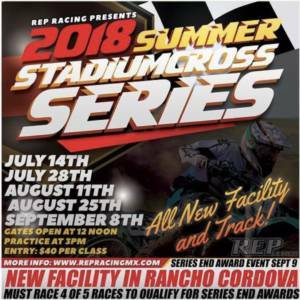 Thursday 6/7/18 - Camping Gates open 4pm - 9pm Friday 6/8/18 - Practice Gates open 7am - 9pm Practice 9am - 2pm Saturday 6/9/18 - Race Day Gates open 6am - 9pm Practice 8am Racing to follow Sunday 6/10/18 - race Day Gates open 6am - 6pm Practice 8am Racing to follow Sign Up Today! 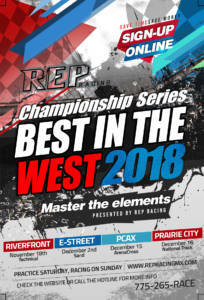 Saturday (Practice & Race) This event is at our new track inside the Prairie City OHV park. More race day details will be available soon. Follow us on instagram for all the latest news. @repracing Sign Up Today! Saturday (Practice & Race) This event is at our new track inside the Prairie City OHV park. More race day details will be available soon. Follow us on instagram for all the latest news. 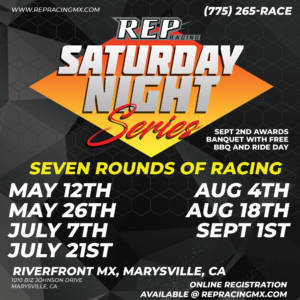 @repracing Click here to Sign Up ONLINE! Friday camping 4pm-10pm. Saturday gates open at 7am with practice from 9am-2. Sunday gates open at 6:30am with practice at 8am and racing to follow. Click here to Sign Up ONLINE! Gates open Friday 4:00pm - 9:00pm Gates open Saturday 7:00am - 9:00pm Practice Saturday Oct 20, 2018 8:00am - 2:00pm Gates open Sunday 6:30am Practice Sunday 8:00am - Racing to follow Camping $10.00 per night Click here to Sign Up ONLINE! 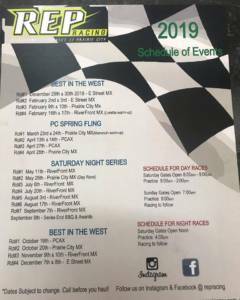 Practice Saturday, Race Sunday Click here to Sign Up ONLINE! Saturday Practice: Gates open at 8:00 AM, Practice from 9:00 AM to 2:00 PM. Sunday Racing: Gates open at 7:00 AM, Practice starts 9 AM, Racing to follow Click here to Sign Up ONLINE! 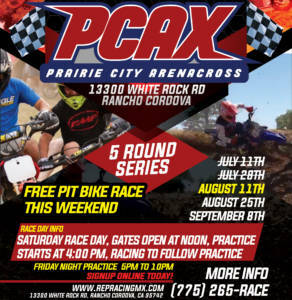 MOVED TO PCMX!!!! Saturday: Parking from 4PM to 9PM. Sunday Racing: Gates open at 7:00 AM, Practice starts 9 AM, Racing to follow Click here to Sign Up ONLINE! Saturday: Parking from 4PM to 9PM. Sunday Racing: Gates open at 7:00 AM, Practice starts 9 AM, Racing to follow Click here to Sign Up ONLINE!